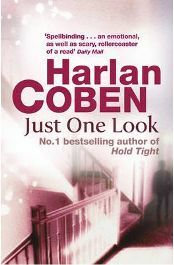 Harlan Coben is one of my favourite authors. I took this book on on holiday with me and read it in two days. I would have read it in a day if I had been at home, as I found it hard to put down. The only problem was, by reading it so quickly I had nothing left to read for the rest of my holiday! The story centres around Grace Lawson. Happily married to husband Jack, and mum to their two children, her contented world is thrown into turmoil when she collects a set of photographs she had taken to be developed. Ignoring friends teasing that she should ‘get with it’ and enjoy the digital age, by using a digital camera, selecting and printing photo’s of your choice etc, Grace still prefers to take a film into the shop to be developed. Enjoying the anticipation and element of surprise on opening up your packet of prints. Well she certainly gets a surprise, when on picking up her photographs she finds a photograph that does not belong there. It appears to be an old photograph of a group of friends, one of which looks like her husband, Jack, but the other people Grace does not recognise. Also a girl in the photograph has a cross marked over her face. She shows the photograph to her husband, who asks where she got it from, but denies he is the man in the photograph. Later that night, when Grace is in bed, she hears Jack leave the house and drive off. She presumes he has gone to the shop, as he often does late at night, however, Jack does not return. In the days that follow, Grace becomes increasingly confused and worried about her husband’s disappearance and reports it to the police who at first are not very helpful. Grace turns detective herself and sets about trying to find her missing husband, while struggling to achieve an air of normality for the sake of her children, while unaware she herself is being targeted by a killer! As is usual with a Harlan Coben novel, the plot isn’t that simple and there are many twists and turns before it reaches it’s surprising conclusion. It is packed with characters and a couple of sub-plots, which draw you in quickly. What I found while reading this was I was beginning to doubt everyone and their motives. From Grace’s best friend, to Grace herself! We are also re-introduced to Eric Wu, an evil assassin, who is a martial arts expert and can kill someone with just one touch. Eric Wu, I find, is quite a scary character who featured in a previous novel ‘Tell No One’, and was as equally scary in this one! Another character, who offered to assist Grace in her attempts to find her husband, and uncover the truth about the photograph, is Mafia boss, Carl Vespa. Carl met Grace when visiting her in hospital years earlier after she was badly injured, but survived a rock concert where Carl’s only son died. Carl is very bitter about the death of his son, and all is not quite as it seems, although my guesses about him and where the plot was leading, were totally wrong! Other characters, include Assistant US Attorney Scott Duncan, who has his own motives for helping Grace, and contacts her after a convicted killer suddenly requests to see him and confessess to killing his sister over 20 years ago, and Charmaine, a parent who has a child at the same school as Grace’s children, and is finding out herself that strange things are happening in her usually quiet neighbourhood. You just know while reading this book, that the sub-plots will all tie in with the main plot at some point, and the suspense builds and builds as I can guarantee you will be trying to guess how it will all come together and what will happen. If you’re anything like me, however, you will be totally wrong, and that is what I love most about reading Harlan Coben novels, as I hate to read a book where I can guess the ending early on. Secrets from the past slowly unfold as Grace uncovers some things she did not know about her husband, and what really happened at the rock concert she attended all those years ago. Where is her husband? Who are the other people on the photograph? Who placed the photograph in the packet? Why is Grace being followed? Are her friends really all they seem? And is Grace hiding a few secrets herself? No Comments on "Just One Look"